Clarksville, TN – Austin Peay continues its Ohio Valley Conference East Division swing when it meets Jacksonville State in a 7:00pm, Monday contest at Mathews Coliseum. Both teams enter the contest seeking their first OVC victory. Clarksville, TN – Austin Peay begins a two-game road trip against OVC East Division teams when it meets Tennessee Tech in a 5:30pm, Saturday contest at the Eblen Center. 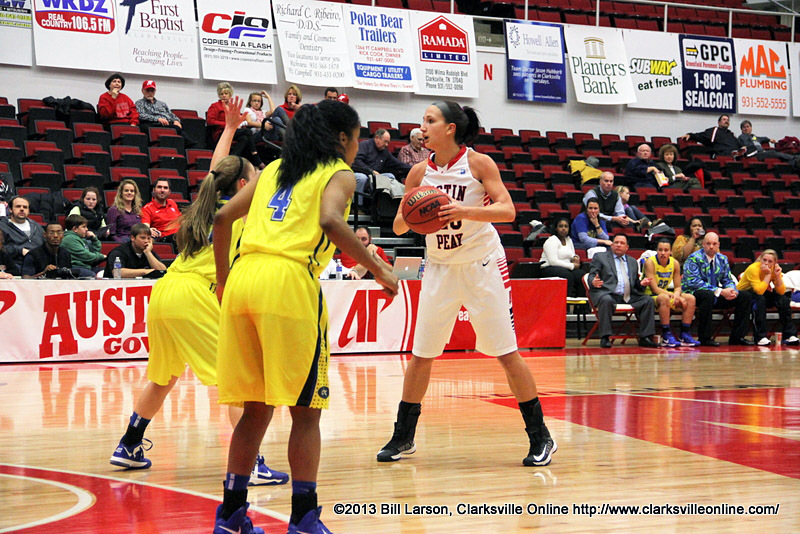 Clarksville, TN – Austin Peay begins a regular-season closing stretch of four games in 12 days when it travels to Murray State for a 7:00pm, Monday, contest. 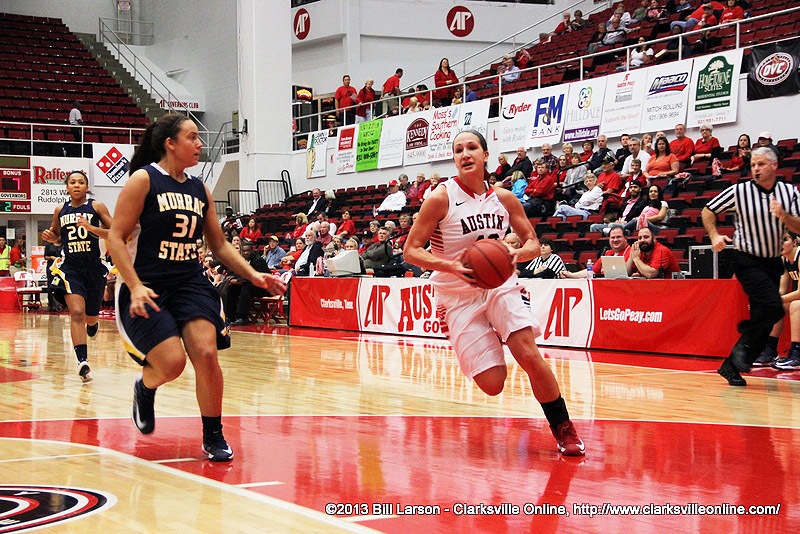 The Lady Govs won this season’s first meeting between the two teams, 71-63, January 7th. However, the two teams have gone in dramatically different directions since that meeting. The Lady Govs will bring an eight-game losing streak into the contest and return to action following a six-day break after its 68-65 loss to Tennessee Tech, last Monday. Murray State has won seven of its 11 games since the first meeting and has won the first two games of its current four-game homestand. 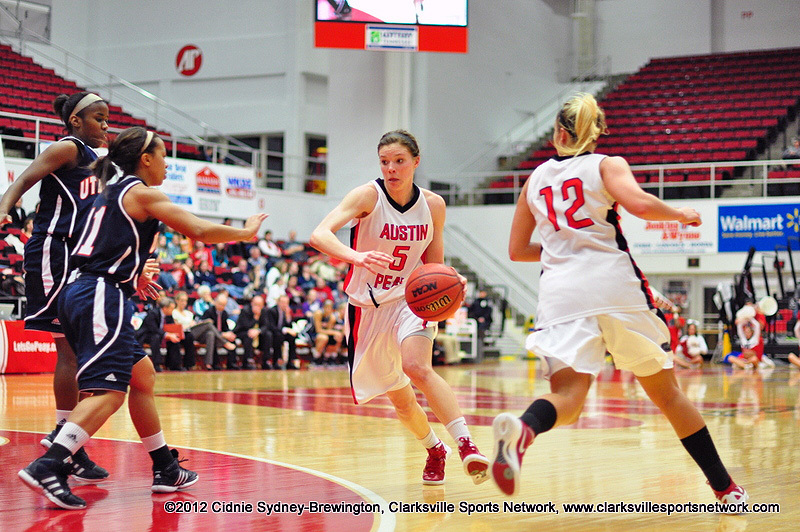 Clarksville, TN – Austin Peay hosts Tennessee Tech in this season’s only meeting between the two rivals at 7:00pm, Monday at the Dunn Center. The contest will be the Lady Govs only game in a 12-day span, they return to the court after an 88-83 loss to UT Martin, Wednesday, and will not play again until a Monday, February 13th contest at Murray State. Tennessee Tech will be playing the second game of a three-game road trip, winning a 62-50 decision at Jacksonville State, Saturday. It will be the 88th meeting between the two teams in a series that dates back to the 1970-71 season. 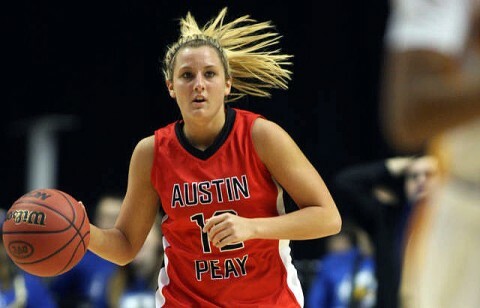 The Golden Eagles have dominated the series 70-17 but the Lady Govs have been their equal since the 2000-01 season – the two teams splitting the 22 meetings in the new millennium. 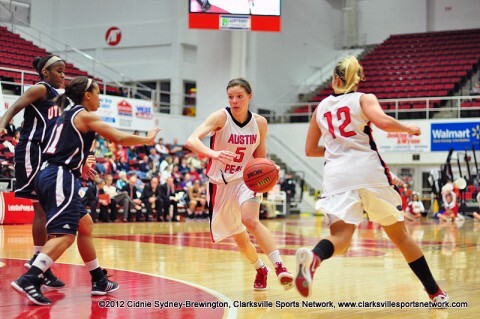 Clarksville, TN – Austin Peay concludes the non-conference portion of its schedule when it meets UAB in a 2:00pm, Sunday contest at Bartow Arena. The Lady Govs will be less than 48 hours removed from a four-day stay in Pittsburgh, PA where they dropped contests to Pittsburgh, Tuesday, and Duquesne, Thursday. In its 62-50 loss at Duquesne, Austin Peay had a first half to forget and a second half they would like to repeat as the season progresses. The Lady Govs allowed Duquesne to score 41 points in the first half while its own offense struggled, making just eight field goals. However, the second half saw APSU produce an impressive defensive effort, holding the Dukes to 19 field goal attempts (eight made) and grabbing a 24-13 rebounding edge.